For whatever reason, GameSpot decided to take a second stab at reviewing Bioshock Infinite. It’s irrelevant whether or not you believe GameSpot’s second review, which scores the game dramatically lower than the original review, is a fluff piece to attract visitors to the site or is an honest opinion. The reality is that the review makes legitimate points which are in line with many of the grievances people have with the game, and it’s alright to have minority opinions. Had I been assigned the game for review, I would have scored the game well below the Metacritic average that it’s currently perched on. Without getting too deep into the weeds over what I liked versus what I didn’t, I’ll say that ultimately I was disappointed in the lack of evolution between the first Bioshock and Bioshock Infinite . After all these years there has been an almost complete lack of refinement in the mechanics – this is still the same clunky, unintuitive shooter it has always been. Other technology areas such as animation, physics, and AI, which should have benefited from experience developing for the current generation consoles, remains disappointingly flaccid. The citizens of Columbia have been assigned mostly static AI routines with repetitive animations which make them feel lifeless and robotic. Sorry, but we’re one too many Assassin’s Creed games deep for me to turn a blind eye. Whatever my perspective may be on the mechanics, I’m aware that the true draw for the most zealous Bioshock fan is the story and atmosphere, and in many ways Infinite succeeds in delivering another engrossing world with an intricately crafted and potent narrative. But let’s be honest, Columbia is no Rapture. And despite the game’s best efforts, Elizabeth does not fill the void. Most of the time I found her presence forced and unnatural, a far cry from the sense of companionship and purpose I was expecting from a character who is practically attached to me by the hip throughout the game. There’s lots of reason to love Infinite and I would be remiss to argue that the story is anything less than brilliant – I spent weeks thinking about it after the credits rolled. And at moments the art direction and set pieces screamed at me from the monitor and left me in awe. But it’s not enough to mask the rest of the game’s pain points, especially since I already made that concession once before. GameSpot’s review may strike you as dubious, but before you react in spite you should at least recognize a fundamental principle of journalism and opinion in general: there are going to be people who genuinely feel the opposite of the majority. 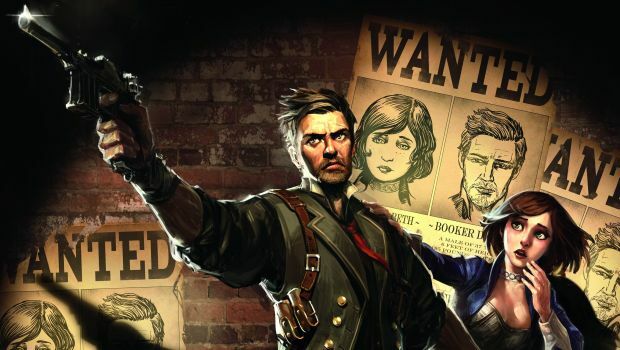 Bioshock Infinite let some people down, deal with it.